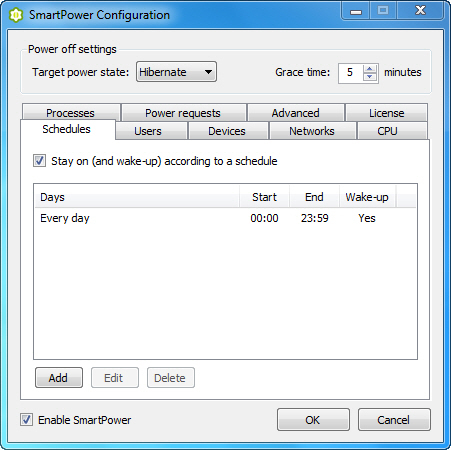 SmartPower is a free windows software that saves energy and money by hibernating and resuming your Windows PC according to configurable rules. Stay on and wake-up according to a schedule. free for personal use and commercial licenses cost £20 each.